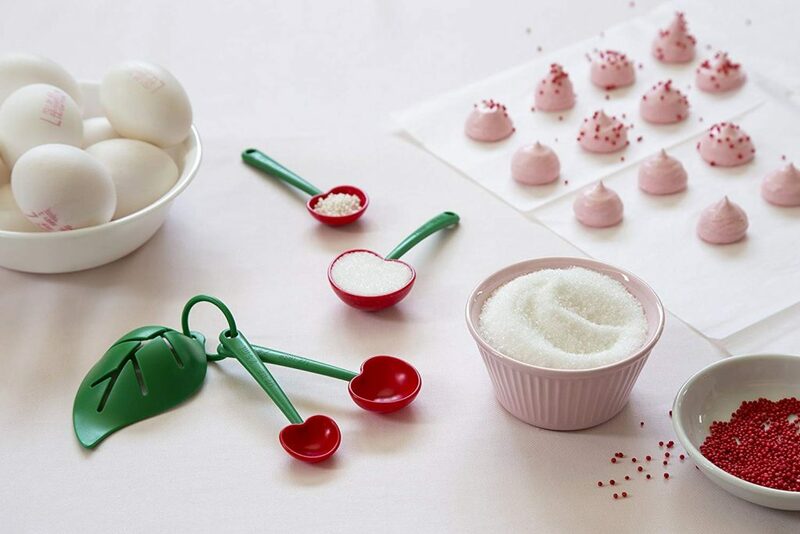 Lets get on with our list and look at some other cleverly crafted kitchen gadgets. 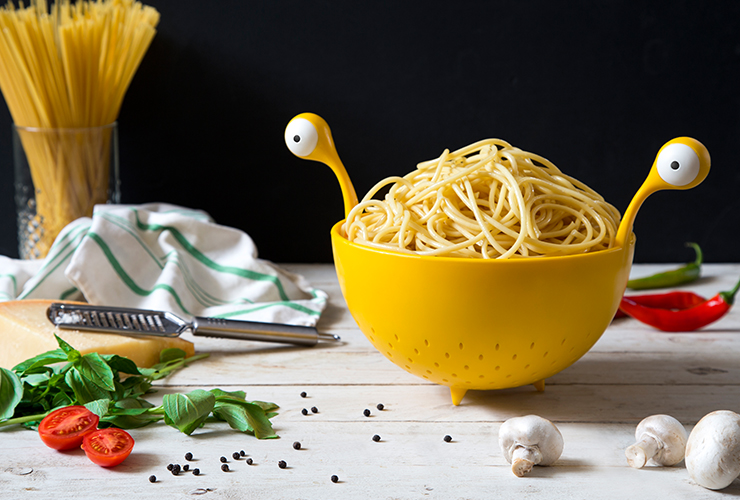 No one ever thought using a colander could be fun but with this fun design it is! 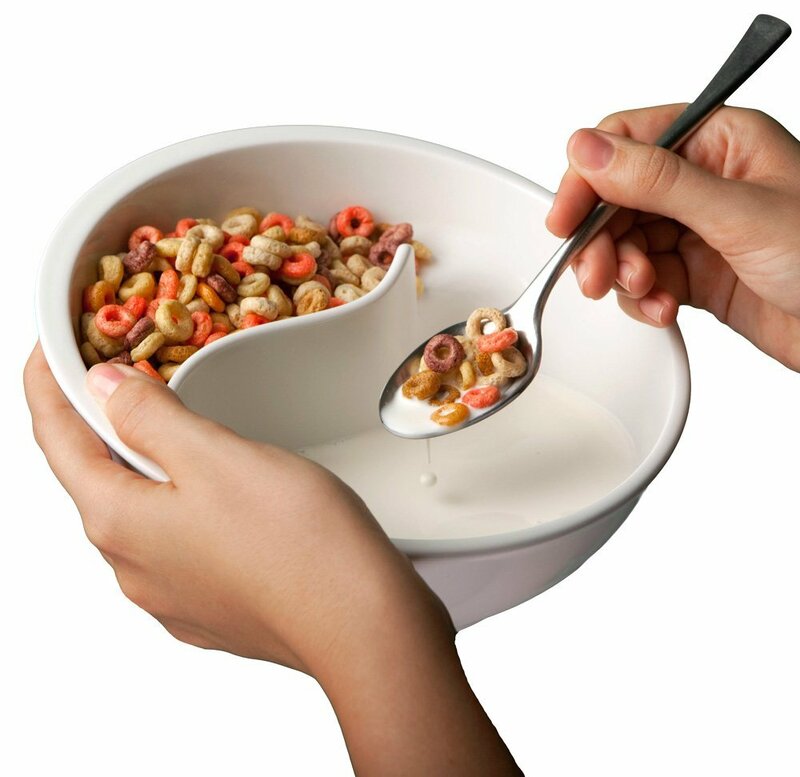 The cereal bowl that keeps cereal forever crunchy. What could be better than never EVER having soggy cereal (and chunking the end of your cereal in the bin, what a waste of money). The Obol takes care of it all, you’ll be crunching through the entire box of cereal with out any soggy blues. Yes, the Lock Ness family has just multiplied to 3! 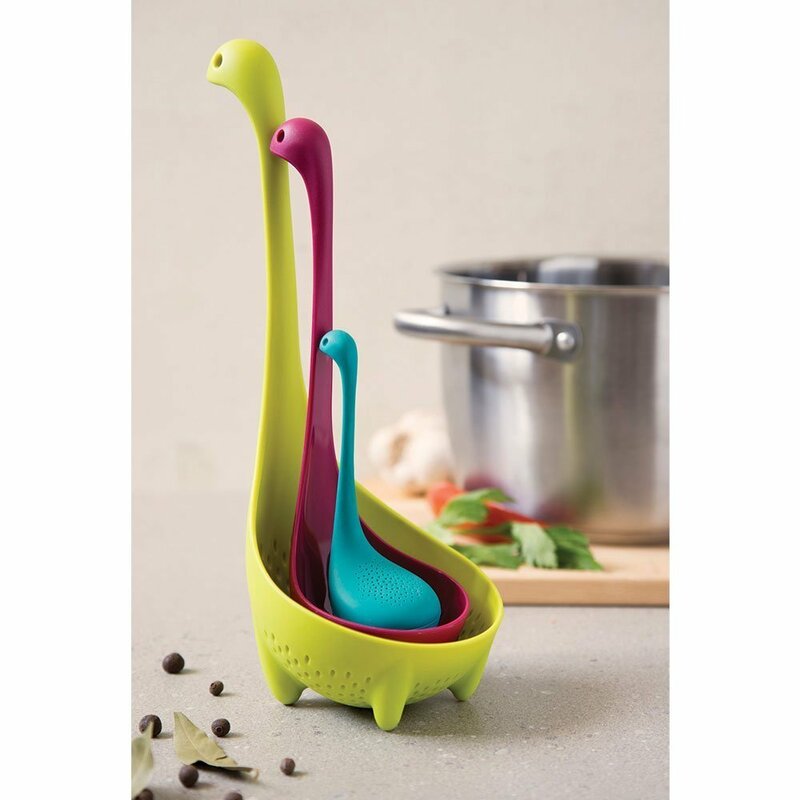 This clever set includes Big Nessie colander, Purple Nessie ladle, and Blue Nessie tea infuser. 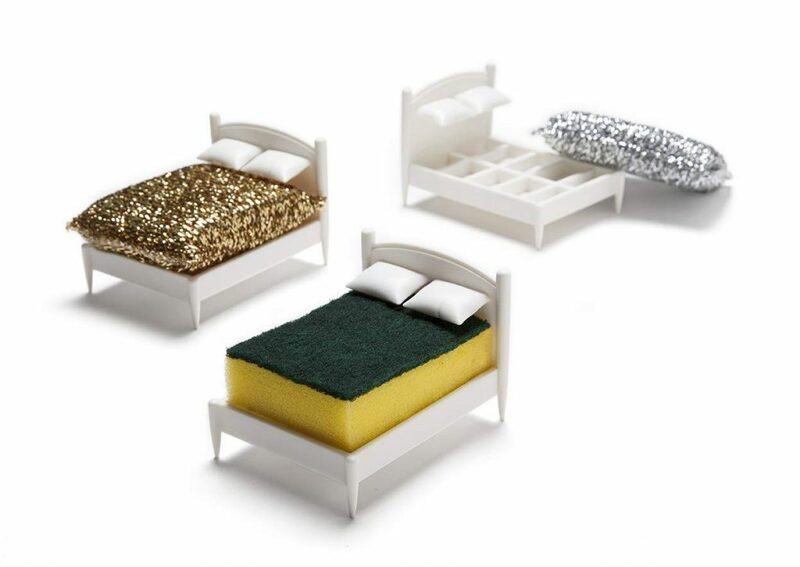 Perfectly stackable and so functional. There’s nothing like sneaking up on somebody with THESE on! 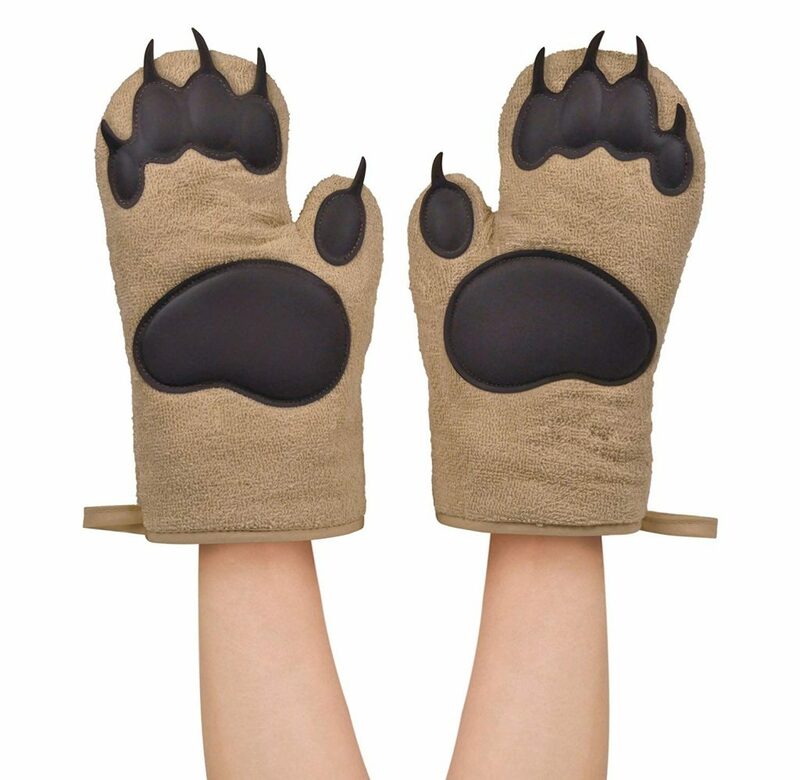 Fun and function these clever kitchen mitts are perfect for adding a bit of whimsical silliness to your kitchen. I love cherries, and whoever crafted these measuring spoons definitely knew what they were doing with the brightly colored pieces of juicy fruit and the accent egg separator leaf. 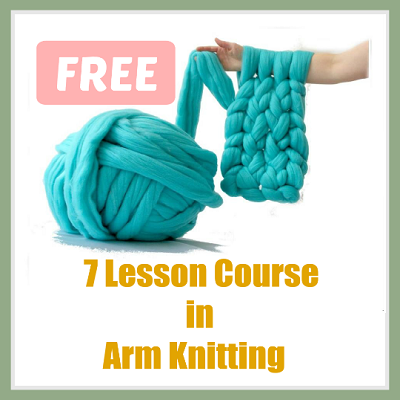 Know someone who needs this, give them nudge! 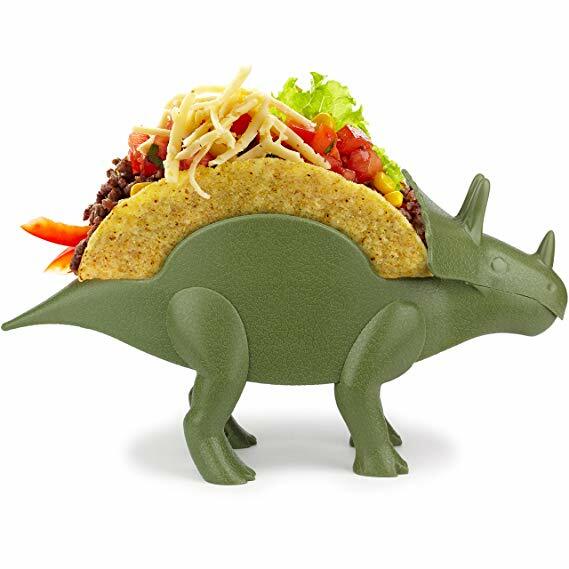 Having your taco’s tip as you try to fill them is a real drag, but with these cleverly crafted prehistoric beasts it’s a breeze. I bet you’ve never seen anything like this before. Coming from a truly fun and genius brain this sponge bed is perfectly designed to keep your sponges dry and looking divine when not in use. 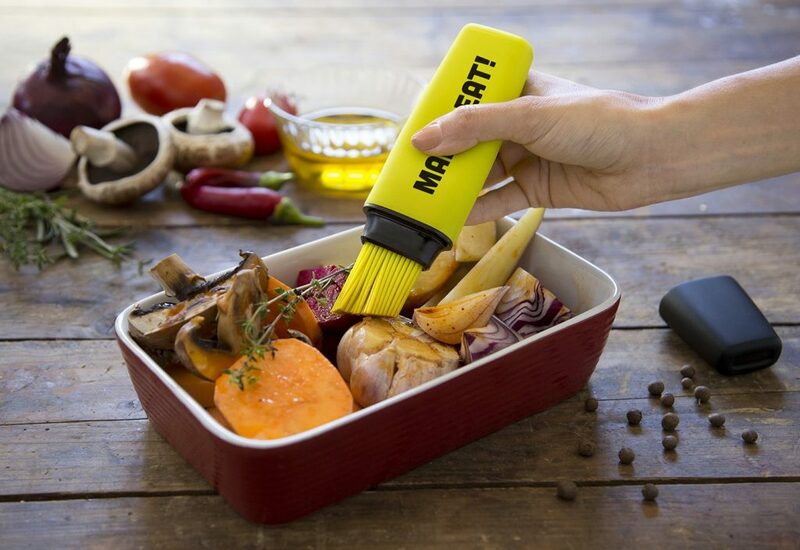 This clever kitchen gadget speaks for itself. 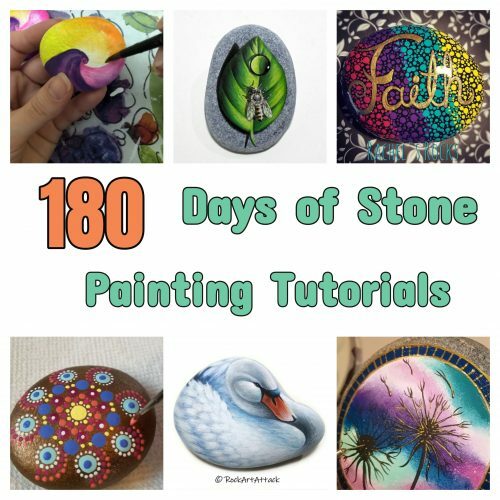 Why have a boring brush when you can have this one.